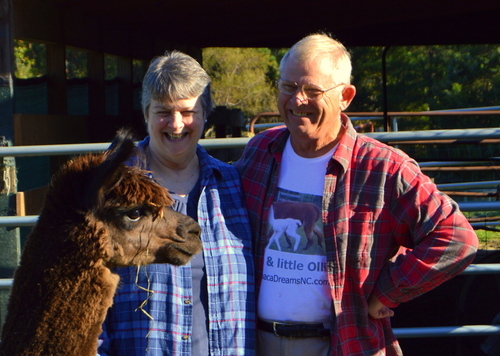 Alpaca Dreams farm is participating in the National Alpaca Farm Days again this year. This is a Free, Unique, Fun Outing for people of all ages. Our alpaca farm will be open to the public from 10am to 4pm on both Saturday, 9/24 and Sunday, 9/25/16. 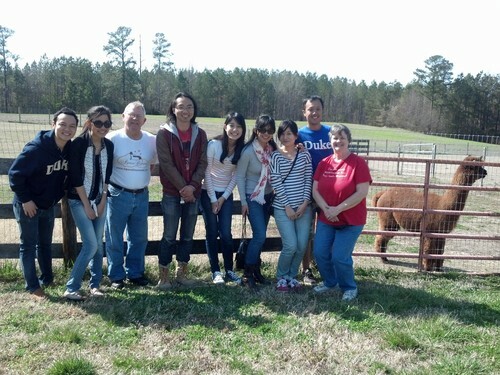 Come and meet our 13 alpacas and 2 guard llamas. They are all amazing, gentle, inquisitive creatures who, even while being timid, are curious about visitors. Come and learn about alpacas and llamas; how they are different and alike; how their fiber is processed into yarn, and how every bit of their fiber can be made into alpaca products. 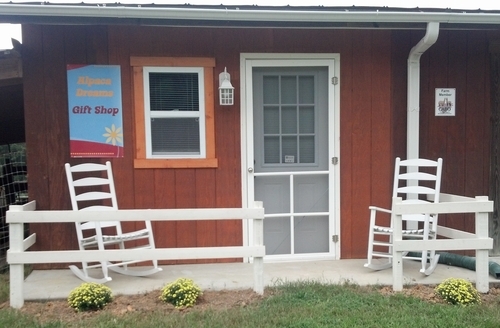 After visiting our animals, browse through our Gift Shop. 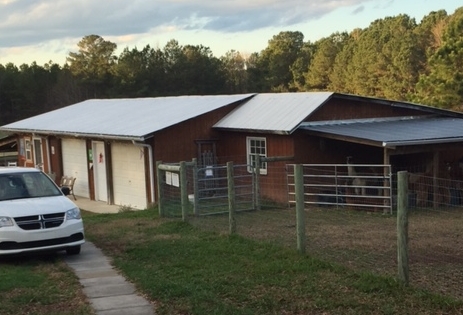 It is loaded with alpaca and alpaca related items…..socks, scarves, hats, gloves, purses, throws, pillow covers, stuffed animals, books and many other things. Many of the items are handcrafted and some of the items are made here at Alpaca Dreams from our own animals' fiber. Each of these items come with picture(s) of the animals whose fiber went into the item. Credit cards are accepted. If it rains we will still be open. We can bring some of our animals into the barn; our displays are setup in the barn; and our Gift shop is accessible from inside the barn. Oh....and we Love pets but please let them have a quiet afternoon at home. Our alpacas are super curious and love visitors but will keep their distance if there are dogs or other 'scary animals' nearby. And remember, Alpaca Dreams is open for visits all during the year. All you have to do to visit is call or email us to setup a date/time so we are sure to be home. 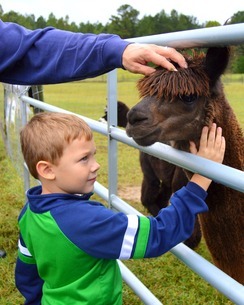 The weekend of September 24, 25 is special because of National Alpaca Farm Days.